The pair emerged with their lives, but not the car -- they ended up abandoning it to the flames. 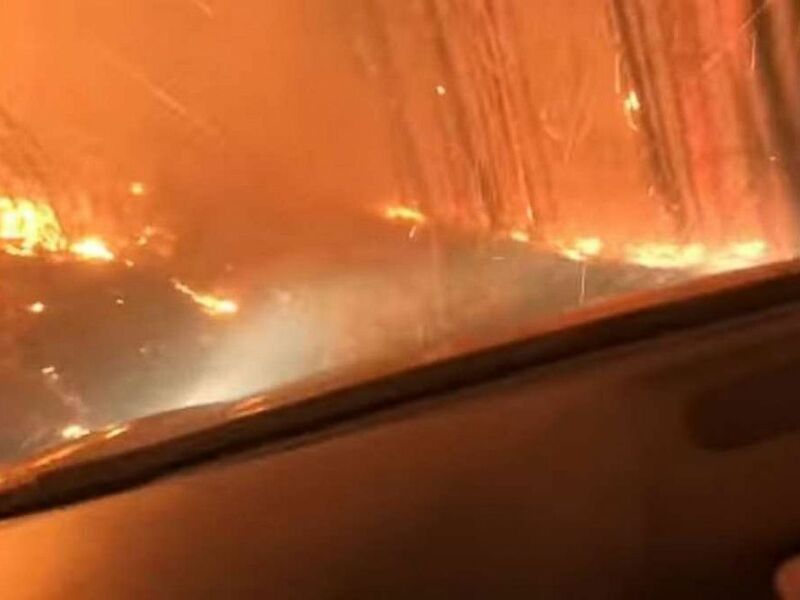 The video was filmed in West Glacier, Montana, where the Howe Ridge Fire has already scorched over 4,000 acres since it started on Aug. 11. 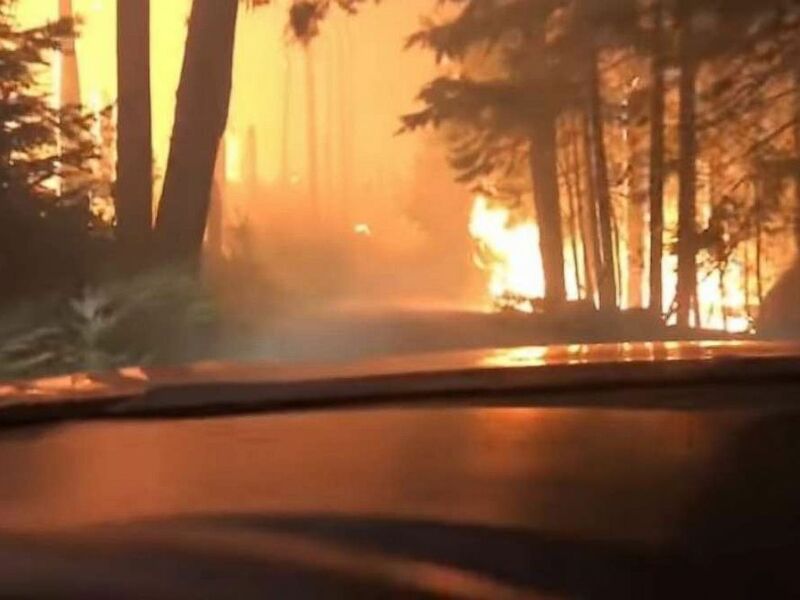 A son and his 70-year-old father barely escaped as they drove right through a raging forest fire in West Glacier, Montana. 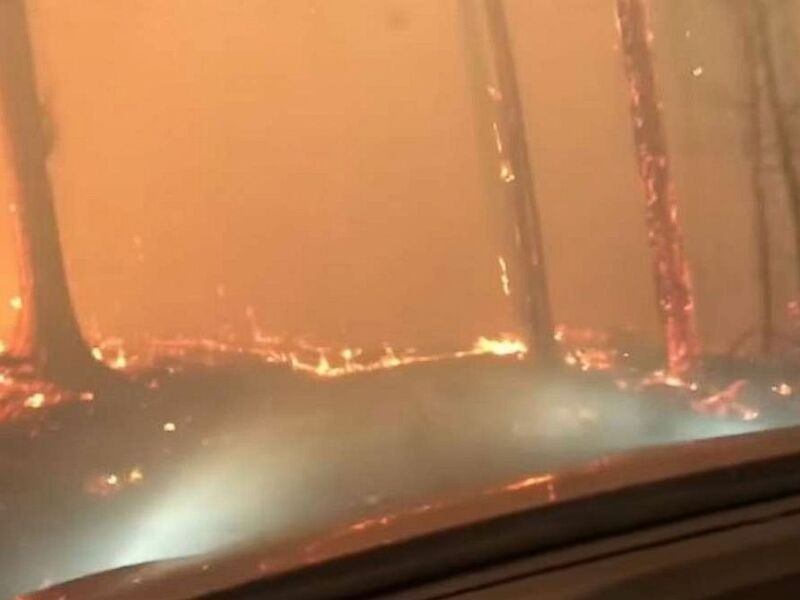 Evacuations were in effect in the Lake Macdonald area, where Justin Bilton and his 70-year-old father were forced to flee. "My 70-year-old dad and I were stuck at a trailhead at the end of a dead-end road near Lake Macdonald in West Glacier, MT," Bilton wrote on YouTube in sharing the video. "The wildifre (sic) was between us and the only way out. After we reached the downed, burning tree seen at the end of the video, I had to reverse all the way back to the trailhead, where we were lucky to flag down a boat." Bilton said he and his father were rescued by two park rangers after abandoning their vehicle. In the video you can hear Bilton repeatedly worry they aren't going to make it out with their lives, asking, "What if the car blows up?" and eventually saying, "Dad this is insane," at one point. Of course, like any father riding with his son, raging wildfire or not, he warns Justin "easy, easy" and "slow down." 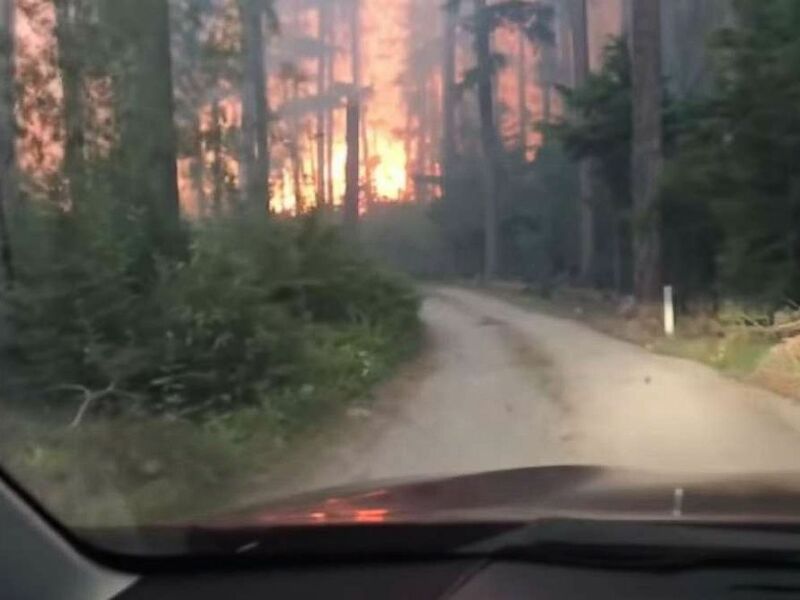 The Howe Ridge Fire was started by a lightning strike and had burned 4,138 acres as of Saturday night, according to the National Park Service. West Glacier is in extreme northwest Montana, about 140 miles north of Missoula and only about 40 miles from the Canadian border -- if you're walking. ABC News' Abigail Shalawylo contributed to this report.